New Hope Valley Railway’s (NHVR) family-friendly Track or Treat: Halloween Express takes place on Saturdays Oct. 13, 20 and 27, with five train departure times at 2:45, 4:00, 5:15, 6:30 and 7:45 p.m.
New this year, is NHVR’s Mummy Mayhem, a game where passengers search for 13 mummies hidden along the train tracks, and in the rail yard and museum. During the ride, visitors will see the new flying monkeys Halloween scene, and some favorite scenes and decorations from past years. Before or after the train ride, there’s lots to see and do in the rail yard, including songs by the popular singing pumpkins, photo opportunities, a gallery of creepy artwork in the North Carolina Railway Museum’s stationary caboose, Dr. CO2’s magical boo bubbles and the Count Cluckula kids’ game with prizes. The event is family-friendly, but earlier departure times during daylight are recommended for younger children. All tickets cost $15 per person and children under two years old are free when sitting in the lap of an adult ticketholder. NHVR’s food vendor will have a kid-friendly menu with a special Halloween-themed kid’s drink. Food and drinks are not included in the train ticket price. NHVR’s Halloween Express is the only event in the Triangle that includes a ride on a real train. 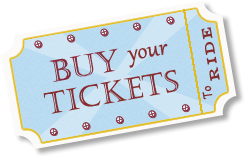 Purchase tickets on our calendar page.